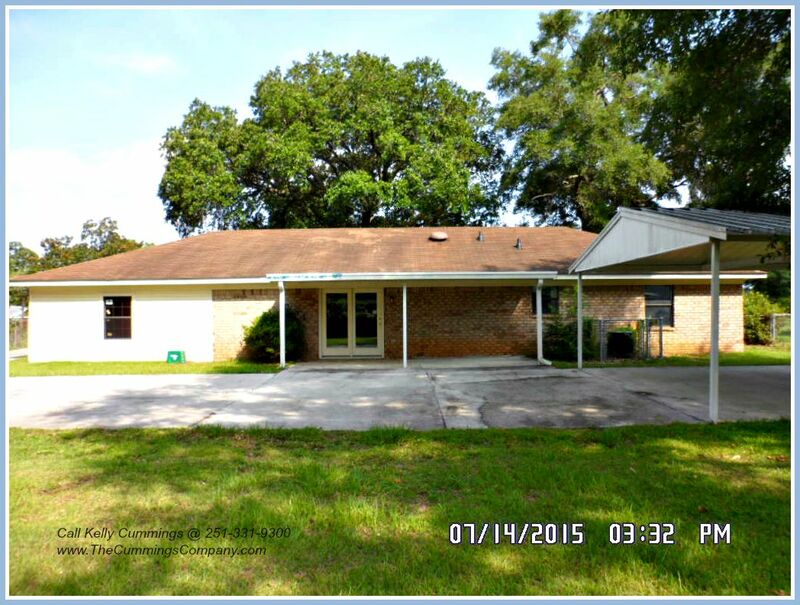 4160 Belvedere St is a Reverse Mortgage foreclosure home for sale in Mobile AL Crestview. 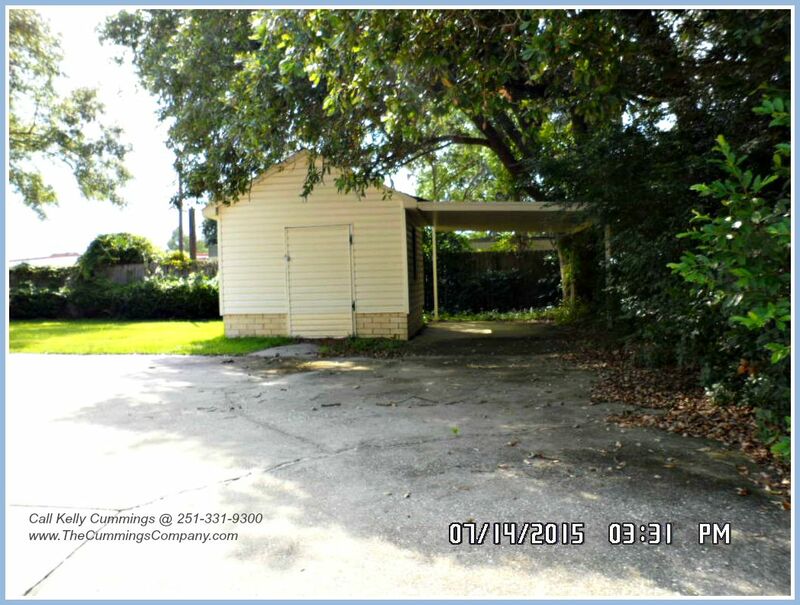 This property is being sold subject to HUD Guidelines 24 CFR 206.125. 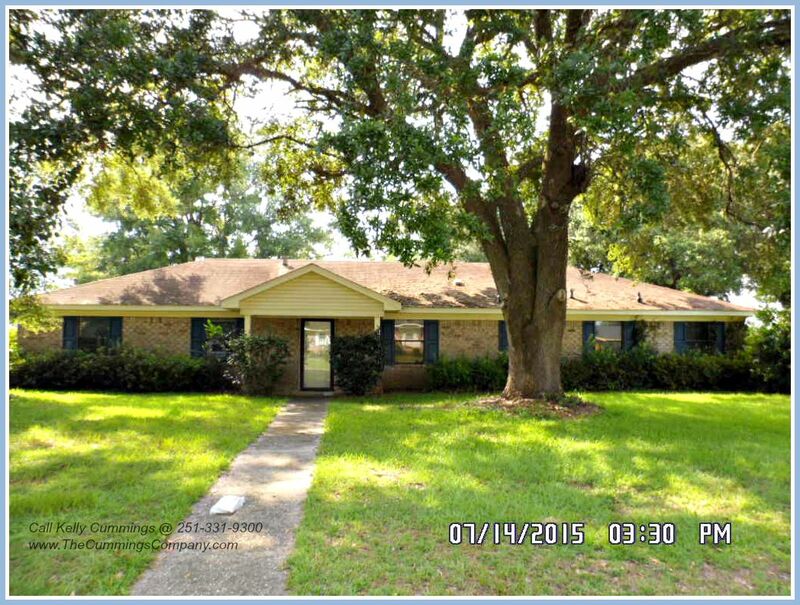 This foreclosure property is in overall good condition but is in need of updating. Upon entering the property the first room off the foyer is the dining room. The dining room is dated with wallpaper, old wall to wall carpet, and spindles. Continuing through the dining room takes us into the kitchen. 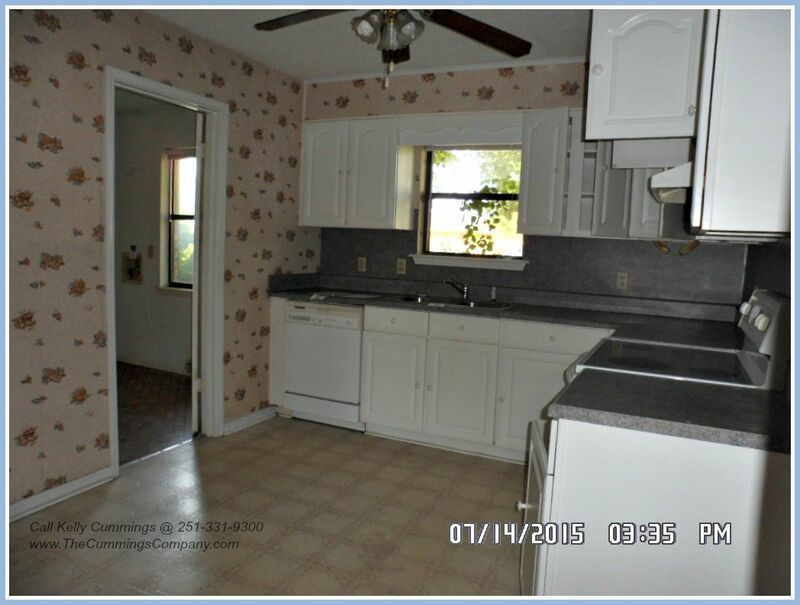 The kitchen features white cabinets and has the dishwasher and stove/oven. 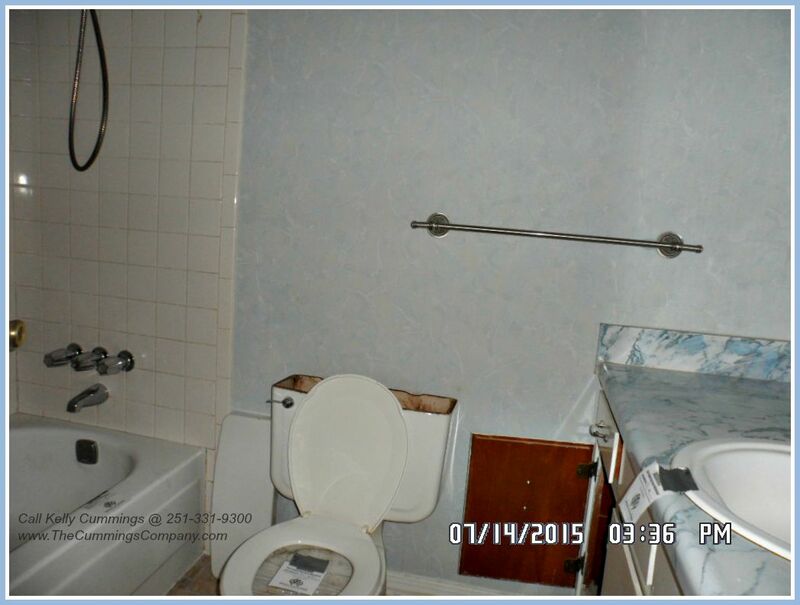 Some updates are still needed if you would want to remove the wallpaper and vinyl floors. The laundry room is conveniently located off of the kitchen. 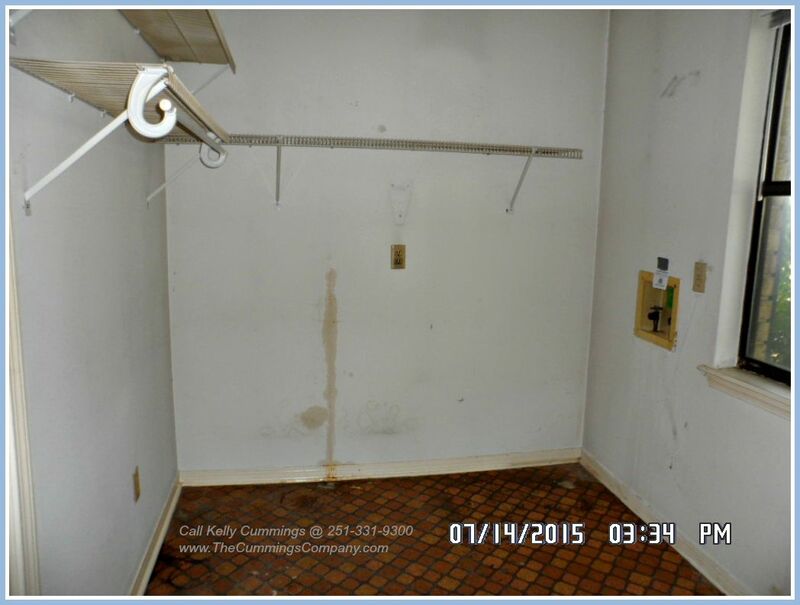 The laundry room is large with shelving but could use a cleaning and coat of paint. 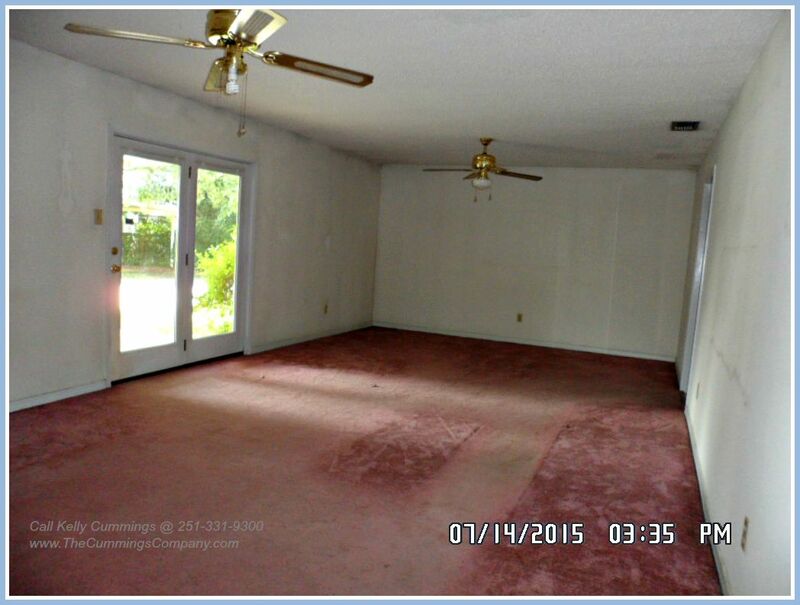 This Mobile AL foreclosure home has a huge living area. 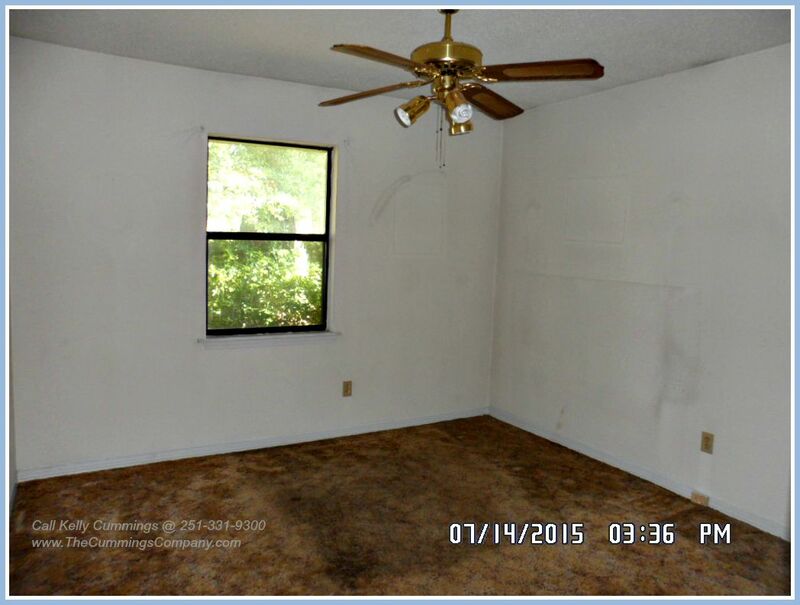 This room has old wall to wall carpet, old ceiling fans, and french doors to the backyard. This room has so much potential and is perfect for entertaining guests. 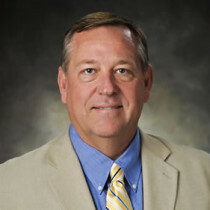 Moving to the other side of the house we will now look at this reverse mortgage foreclosure 3 bedrooms and 2 bathrooms. The master bedroom has an old style ceiling fan and old wall to wall carpet that needs to be replaced. The master bathroom has a nice vanity, tub, and tile floors. There is wallpaper in this bathroom as well. 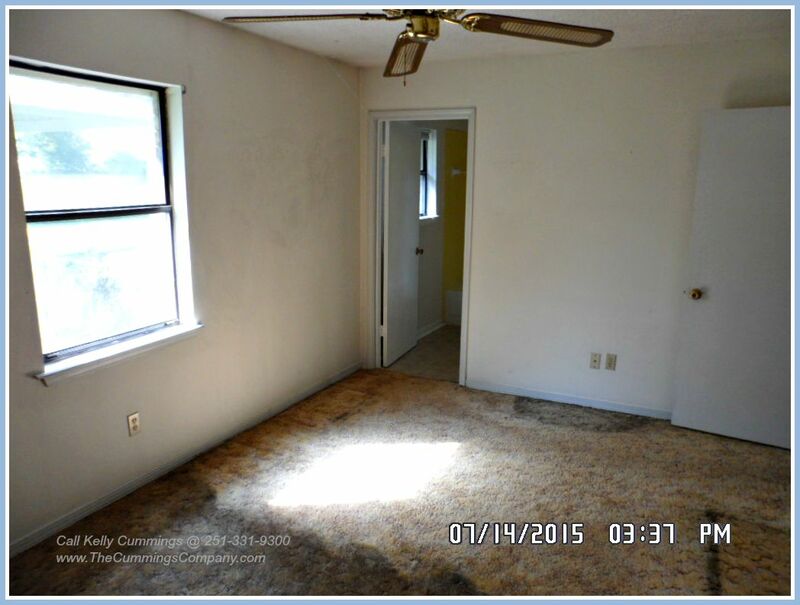 The 2 additional bedrooms are similar in size, have old style ceiling fans, and old wall to wall carpet that needs to be replaced. 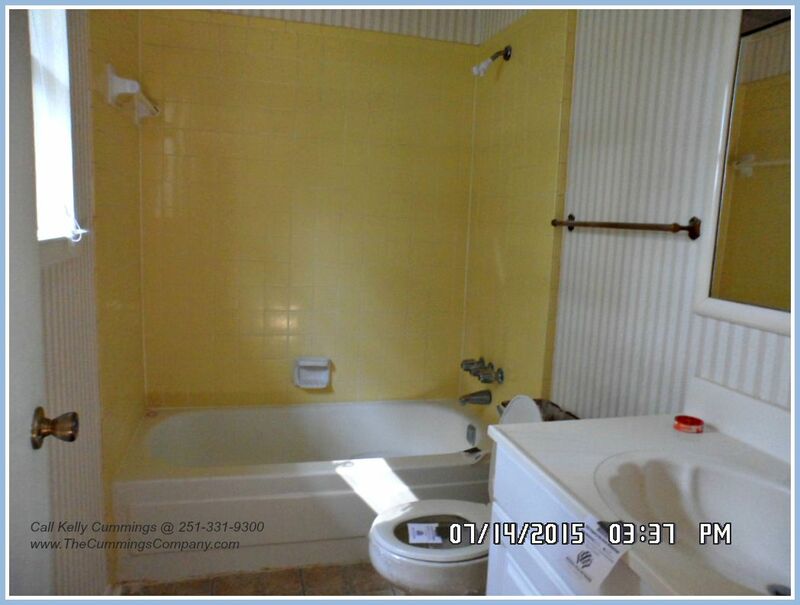 The second bathroom has a tub/shower combo, tile floors, and a vanity. 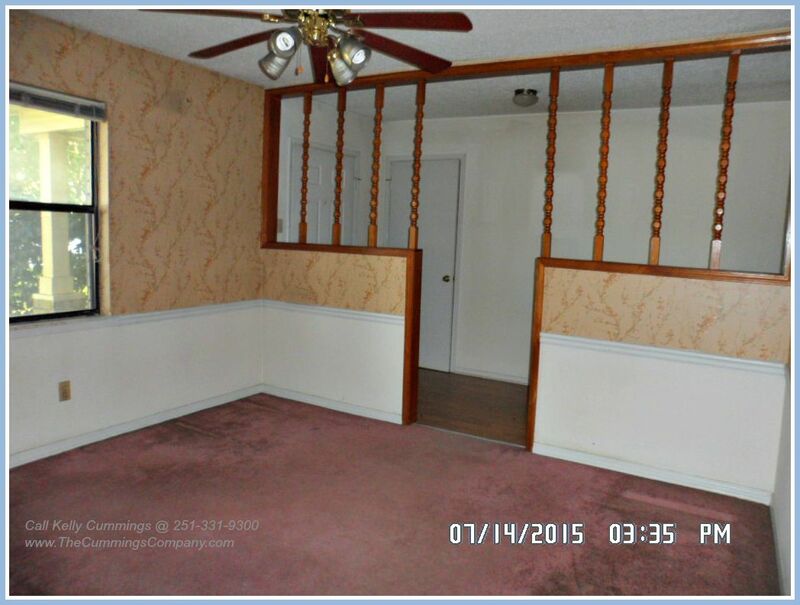 That concludes are look at the interior of this reverse mortgage foreclosure. 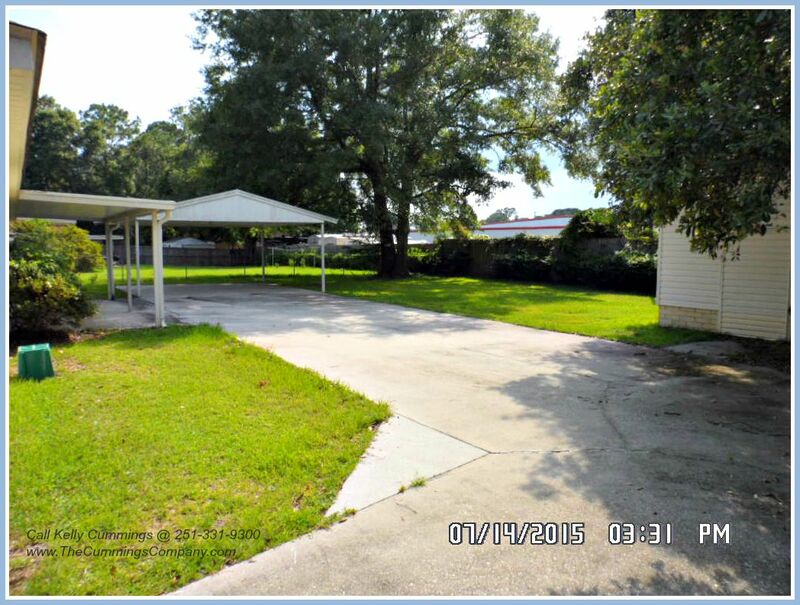 The backyard of this property is completely fenced, has a nice storage building, covered patio, and a 2 car carport. The backyard is well landscaped with plenty of room to play and plenty of ways to get out of the Alabama heat. 4160 Belvedere St is an amazing home at an unbelievable price. Don’t waste time. 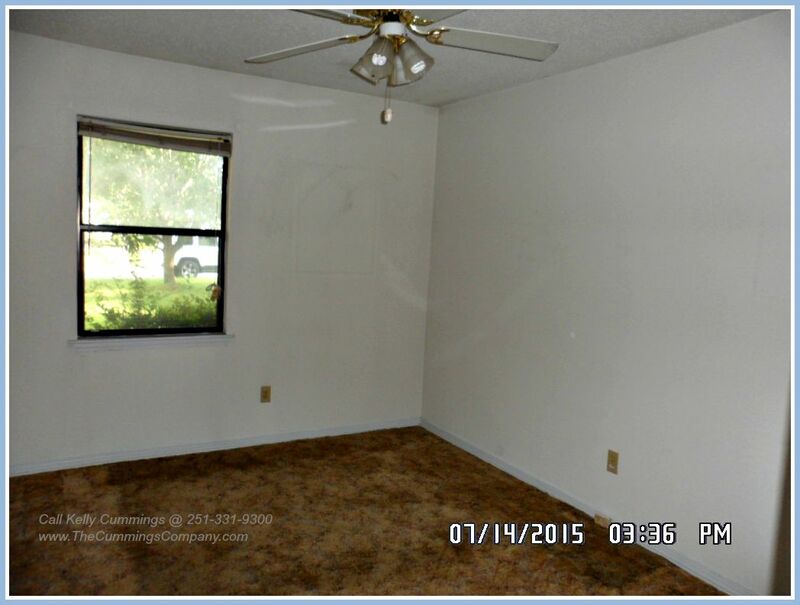 See for yourself what this Mobile AL foreclosure home for sale has to offer! 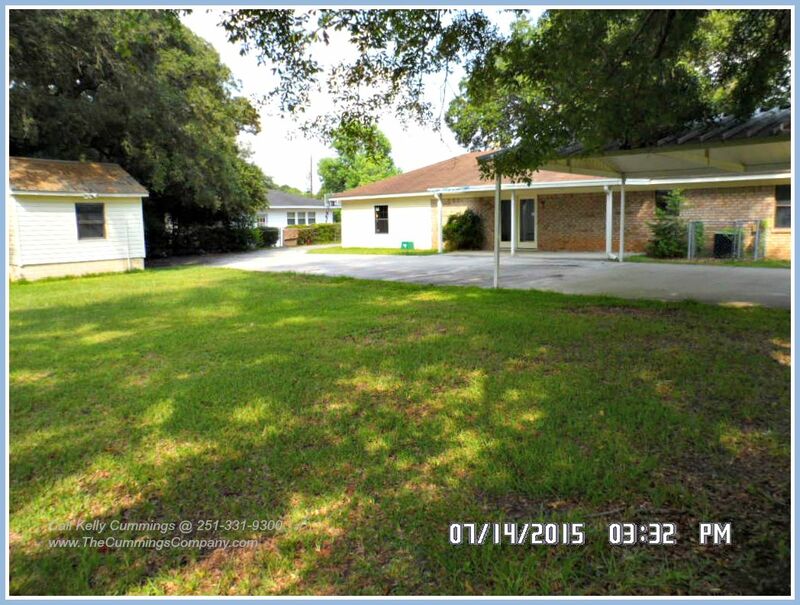 Call Ryan Cummings and Kelly Cummings at 251-602-1941 to schedule a viewing today!